Getting a passport has never been an easy job and mostly is very stressful. 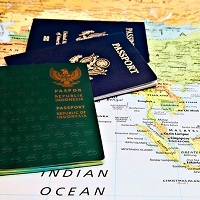 We at Ushodaya Tours & Travels provide with very easy passport and visa procurement services at very affordable rates. We are aware with the strict rules imposed by the government regarding the documents and have a team of qualified professionals who provide services very efficiently and all your documents are well conserved. We are based in Visakhapatnam and provide this facility for all over world. Hurry up and do not miss such a golden chance.